Following a series of massive Google Pixel 3 XL leaks, revealing not just the phone's specifications and the fact that it has a notch, but also exactly how it will look thanks to a comprehensive suite of leaked imagery, we now have the best indication yet of how the hot new phone will look when it gets released. That's because images of how the Google Pixel 3 XL will almost certainly look like have been shared online by a design-savvy Twitter user. 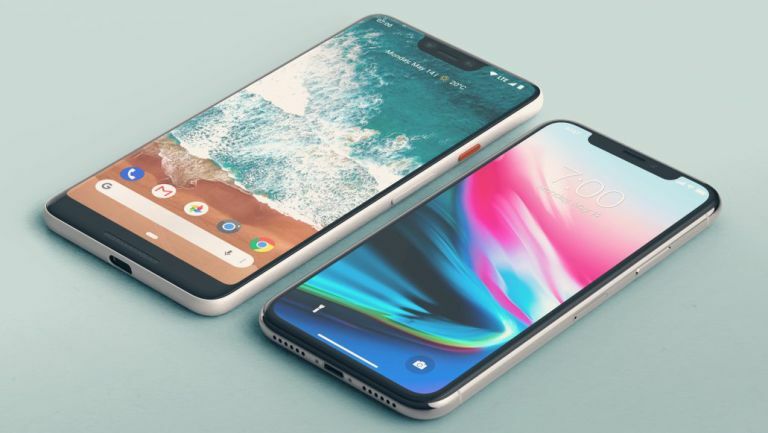 The images show a render of the Google Pixel 3 XL placed next to an Apple iPhone X for comparison, with a wide, near bezel-free device on display that sports a notch, a two-tone design, and single rear camera lens. The Twitter user who created the image, @PhoneDesigner, based the design of the Pixel 3 XL on a series of "real-life" Pixel 3 photos that recently leaked online, so what you are looking at here is almost certainly what the new phone will look like when it breaks cover. Other Google Pixel 3 XL leaked details are also in evidence in the comparison images, including the fact that it will have a dual front-facing camera and also boast a glass back, which is a departure from the Google Pixel 2 XL. We've very much enjoyed Google's Pixel phones to date, and specifically the XL models, so the fact that the Pixel 3 XL seems to build on that same clean and pure Android experience but now with a hefty dose of Apple iPhone X style is definitely exciting. Indeed, if the Google Pixel 3 XL does end up looking like the above images, you have to wonder if it will outgun the incoming 2018 iPhone X, as it looks like the phone will be able to compete with Apple's 2018 flagship both in specs and style. This aggressive re-positioning of the Google Pixel 3 XL as a flagship iPhone rival makes sense in light of recent reports that the maker is looking to transition its devices' critical acclaim into mainstream sales traction. And, by looking at this phone and its specifications, it looks like Google will be in the best position yet to not only take on the 2018 iPhone, but also the other juggernaut Android flagship on the horizon, the Samsung Galaxy S10.